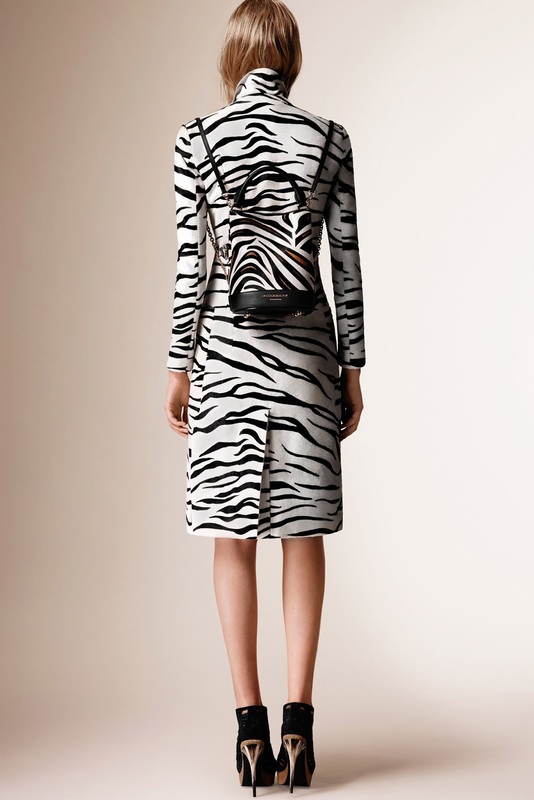 I was so so so so soooooo excited to start writing about the Resort 2016 collection by Burberry Prorsum. If you follow me on social media, and you have for a while, you will know how much I love Burberry and how passionate I am about the brand. Foremost, its one of the biggest British brands in the world - regarding the fashion industry. It's always been a favourite of mine, due to it's down-to-earth feel and incredible collections that keep coming each season. It's so refreshing to see and so exciting. Christopher Bailey is by far one of my favourite designers purely because he keeps the old traditional Burberry feel in every collection. Very modest, feminine and English. That is what I love so much. Like Style.com writer, Luke Leitch, said that it was rather strange to see a Burberry collection without being showcased within a show. To an extent, I do agree, but its so good to let the clothes just do the talking. As mentioned, Bailey as kept the "prim-and-proper" british feel within this Resort 2016 collection - with a classic feminine foundation. From laced gowns to A-line silohettes, this set oozed class and sophistication - with a softer vibe. Embellishment and lace were also a highlight, which created a luxury feel to the fabrics and the luxurious looks that have been created. It was a huge feature. Every dress had incredible lace details which made ever dress unique. Creating a super-high standard of creativity and design from Bailey. With this collection, I loved the hint of animal print that had been taken from the AW15 Show and extended into this set - especially the tiger printed backpack. SO cute! A Burberry collection wouldn't be a Burberry collection without Bailey's creations of coats and trench coats. A lady can never have too many coats in AW. From structured, sharp looks with lace embellishments on the sides of the coats to a huge fluffy zebra-print number which will sure to keep you warm all around winter. Perfect. Despite the masculinity of the coats and outerwear, Bailey still manages to keep in mind that feminine edge - which is what makes Burberry Womenswear so great. Traditional and Classy.